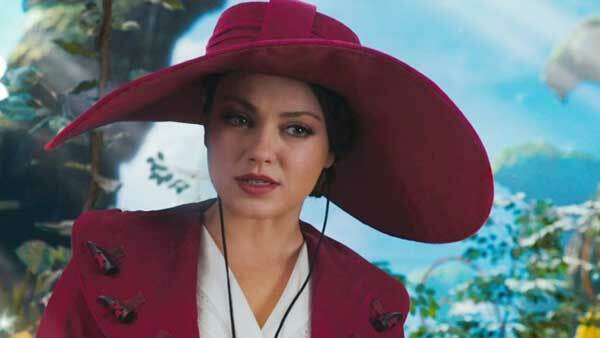 To be clear, Oz the Great and Powerful is not a prequel to the 1939 classic The Wizard of Oz. 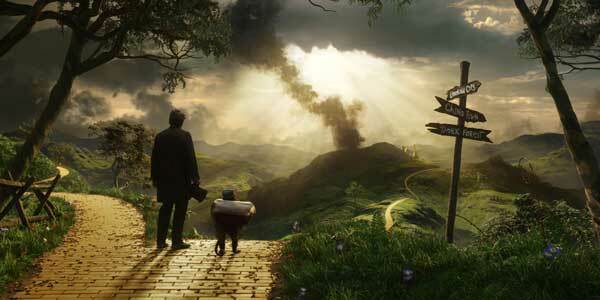 It is a precursor to the book by L. Frank Baum, "The Wonderful Wizard of Oz". As a children's author Baum wrote 14 books about Oz but he never explored the backstory of the faux-wizard. It is a relief to say that director Sam Raimi (Evil Dead, Spider-Man) has made an origins film about the wizard, where the world of Oz is not only realised in stunning detail but plays host to a richly characterised anti-hero, who like the audience, comes to realise the power of illusion. The film is a technical marvel in 3D and overcomes many of the format's shortcomings. Filmmaker and author Lenny Lipton states that stereoscopic cinema (3D imaging), films with the added illusion of depth, is mostly projected using digital projectors and is what he calls 'field-sequential'. He argues that illumination is decreased by fifty percent because the light is divided between both of our eyes. Further, the polarizer filters in the 3D glasses block the light from the screen so that each eye sees a different image but the lighting is dimmed. A footlambert (fl) is the unit of measurement for illumination and film critic Roger Ebert believes regular film projection offers 15fLs, whereas 3D films only display between three and six foot-lamberts. The art design Oz has been meticulously planned to address these issues by brightening the screen and reducing the gloom. Primary colours are well-chosen and employed spectacularly, showcasing plants and vegetation by using red, yellow and green palettes that saturate the frames with colour and light. The widescreen ratio also combines effortlessly with Raimi's formal control to showcase these sumptuous features. Watch as the camera crabs sideways while Oz walks with his friends down the yellow brick road. The fluidity of the camera as it drifts across the frame accentuates the spatial width and depth of the world and provides us with enough time to absorb many of these visual treats. Together, the high contrast lighting effects and 3D depths make this an incredibly beautiful film. Not all the scenes are shot in colour though. The opening scenes in Kansas, 1905, are photographed in black and white and use a 4:39 box ratio, like the 39 film. These scenes are valuable, establishing Oz's personality as a magician who treats the people around him like they are props in a trick. He lies to women, giving several of them the same music box, and he sees no reason to befriend his assistant Frank (Zach Braff). He doesn't even deem himself as worthy enough to be with Annie (Michelle Williams) either. Chased by an unhappy strongman, he jumps into a hot air balloon, unaware of the tornado that will whisk him away to Oz. One of the first people that Oz meets is Theodora (Mila Kunis), a timid and brittle witch, who falls in love with him, telling him that he is a great wizard. 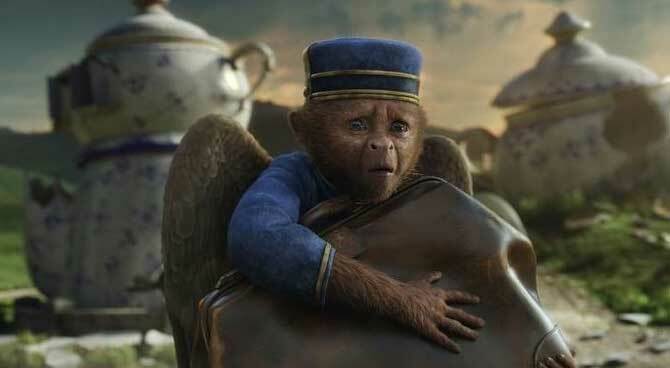 As she leads him to Emerald City, they meet a talking monkey Finley (voiced by Zac Braff), who accompanies them. 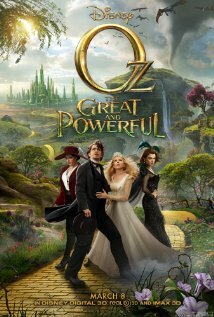 Arriving at the city, Oz is introduced to Theodora's sister Evanora (Rachel Weisz), who stresses he'll have all the riches he wants once he defeats the white witch Glinda (Michelle Williams again). 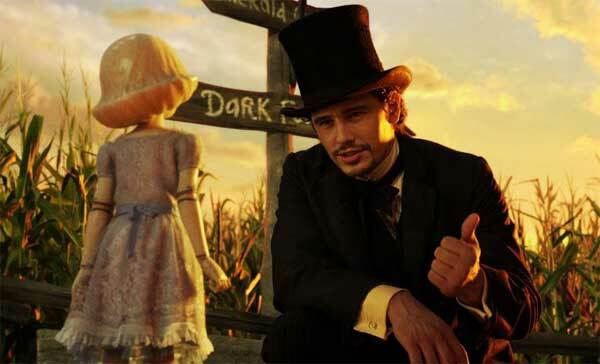 Oz travels with Finley to find her and they discover a pintsized China Girl (voiced by Joey King), who needs repairing and insists on joining them. The film balances precariously on James Franco's performance and his expressive face punctuates every lie and self-serving opportunity of the wizard. Enlivened by Franco's infectious and cheeky comic energy, Oz becomes an unlikely and funny anti-hero, weaseling his way through situations but learning to utilise his powers of deception in clever ways, without drastically changing his personality. Baum always believed in empowered women and the three witches each feel distinctive in their presence on screen. They're great examples of how efficiently women can be used in modern blockbusters. Michelle Williams, with her face never short of emotion, brings gentleness and sincerity to Glinda, even when she becomes aware of the deception around her. Many scenes in the film are accompanied by the power of deception, lies and illumination. Since Baum was against violent resolutions, the battles in this film are unique in their tactics of trickery. The people of Quadling Country can't kill so there's a clever visual scene where scarecrows are dollied across an open field to draw out an army of winged monkeys into a bloodless trap. 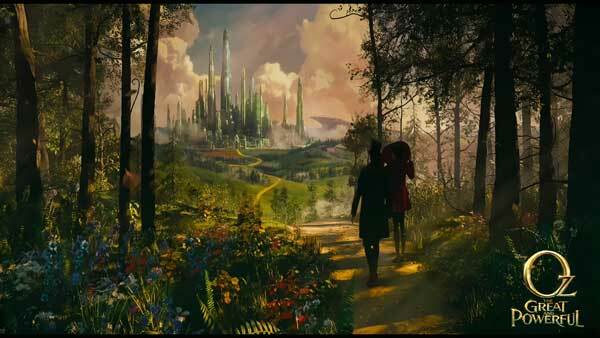 Additionally, a projector Oz uses late in the film echoes the very formal features of cinema used to create this extraordinary and beautiful world. Though the film concludes without a bookend to determine whether the Land of Oz is real or a dream, the magic has you believing for this long that it's best not to question the sleight of hand.